A home equity loan, also called a second mortgage, is an attractive option for homeowners who've paid off a portion of their mortgage and want to borrow against the equity that has already accumulated. When you make your mortgage payment, you're investing money in your home ownership. A home equity loan allows you to use your investment in your home to finance other things. A home equity loan is a consumer loan secured by a second mortgage and based on the difference between the homeowner’s equity and the home’s current market value. A home equity loan is also sometimes called a second mortgage refinance. When you borrow money, the bank needs assurance that you will repay the loan and that they will have a way to recover its money if you can't repay it. Usually, they lender will ask you to put up something of equal or greater value to the money they're loaning you; this is known as "collateral." If you fail to make your payments, the bank has the right to take your collateral and sell it to get their money back. 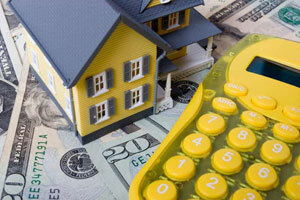 A home equity loan is money that is lent to you using your home as collateral. When you take out a home equity loan, you sign an agreement with the bank stating that if you do not repay your home equity loan, they can take possession of your house and sell it to recoup their investment. The amount of money a bank is willing to lend to you is determined by the amount of equity stored in your home. There is a simple formula for determining how much equity you have in your home. A house was purchased for $200,000. The buyer put down a $20,000 down payment and took out a mortgage for $180,000. As soon as the sale was final, the buyer’s equity in the house was $20,000 --the amount of money they had paid toward owning the house. Unless a borrower has excellent credit, most lenders will not offer a home equity loan for the full amount of the home’s equity, but there are exceptions. The amount of home equity loan that a homeowner qualifies for ranges from 50% to 150% of the equity stored in the home. Generally, banks are willing to offer larger home equity loans to borrowers with more equity in their homes. A home equity loan allows you to access the value of your home to do the things you want or need to do. There are no restrictions on what the money can be used for. You can use your home equity loan to pay for college or a wedding, make improvements or repairs to your home, go on vacation or anything else you want to do. For more information on what you can use a home equity loan for, read home equity line of credit.